WASHINGTON, DC, January 5, 2016 (ENS) – Under the threat of a court order, the Environmental Protection Agency last October proposed a ban on all agricultural uses of the Dow AgroSciences insecticide chlorpyrifos. Now, more than 80,000 people have submitted comments to the EPA urging the agency to ban chlorpyrifos from use on all crops immediately. 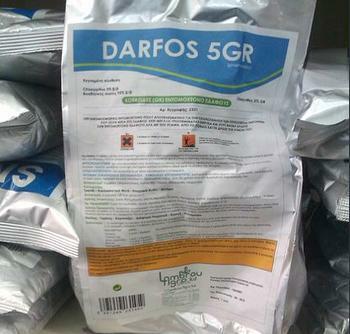 First developed by Dow AgroSciences in the 1960s, chlorpyrifos is no longer patent protected and is now the active ingredient in dozens of pesticide products made by companies such as Bayer and BASF. Products with chlorpyrifos in them are used in agriculture for feed and food crops and in cattle ear tags. 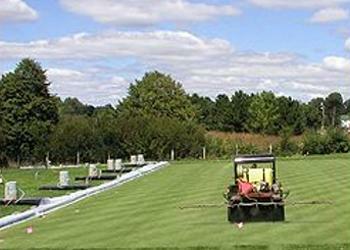 They may be used on golf courses, and to control fire ants and mosquitoes. Products containing chlorpyrifos are also used to treat wood fences and utility poles, according to the National Pesticide Information Center at Oregon State University. The six most critical crops protected, in terms of their agricultural and economic significance are soybeans, citrus, grapes, tree nuts, field corn, and alfalfa, says Dow Agrosciences. It is one of the most widely used in a class of insecticides called organophosphates, which have the potential to cause severe neurotoxic symptoms in humans if touched, inhaled, or eaten. Chlorpyrifos works by blocking an enzyme which controls messages that travel between nerve cells. When the enzyme is blocked, the nervous system cannot send normal signals. This causes the nervous system to malfunction and this is how it kills pests. In December 2014, EPA acknowledged peer-reviewed science linking chlorpyrifos exposure with brain damage to children, including reduced IQ, delayed development and loss of working memory. The agency found that drinking water contaminated with the pesticide is particularly harmful to infants, and highlighted the serious risks to workers from handling chlorpyrifos or entering fields after spraying. Recent appeals court decisions gave EPA a deadline to take meaningful action on a 2007 legal petition to ban the chemical submitted by environmental and farmworker groups. Calling EPA’s delay “egregious,” the Ninth Circuit Court of Appeals ordered EPA to respond to the 2007 petition by October 30 and to make a final decision on the ban by the end of 2016. Earthjustice filed the original lawsuit seeking the court deadline on behalf of the Pesticide Action Network and the Natural Resources Defense Council. On October 30, 2015, EPA proposed to ban the pesticide on food crops, 15 years after banning it for residential use. Today is the end of the public comment period on the EPA’s proposed ban. A coalition of farmworker, environmental health and labor groups submitted comments on behalf of legal experts, scientists and the general public. 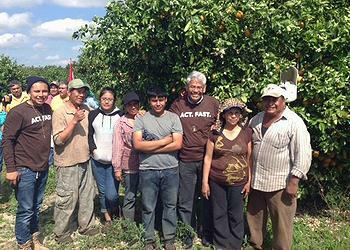 Earthjustice and Farmworker Justice submitted technical comments on behalf of a coalition of groups, including Pesticide Action Network, Natural Resources Defense Council, and United Farm Workers. “Given the incredibly strong science on the health harms of chlorpyrifos, it’s absurd that EPA has taken so long to act,” said Dr. Margaret Reeves, senior scientist at PAN. Spain, France, Italy, Japan, Australia and New Zealand, where it is registered for protection of essentially every crop now under cultivation. No other pesticide has been more thoroughly tested,” the company said in a statement October 30. “Dow AgroSciences disagrees with EPA’s proposal and remains confident that all U.S. tolerance issues relating to the continued use of chlorpyrifos can be readily resolved with a more refined analysis,” the company said. Environmentalists and farmworkers don’t see it that way. “A total ban on chlorpyrifos is what farmworkers, agricultural communities and all consumers deserve,” said Patti Goldman, the Earthjustice attorney handling the case. Dow Agrosciences argues that the court is rushing the EPA to act before all the scientific analyses have been completed. But today, EPA received a letter from more than 65 environmental health scientists and healthcare professionals, citing extensive evidence that chlorpyrifos harms children and urging the government to ban the pesticide. Humans are not the only victims of chlorpyrifos poisoning. The National Pesticide Information Center says chlorpyrifos is “very toxic” to many bird species, and to fish and aquatic invertebrates. It may build up in the tissues of fish and other animals that eat smaller animals. Chlorpyrifos is “very toxic” to bees. It can poison non-target insects for up to 24 hours after it is sprayed. Chlorpyrifos can be toxic to earthworms for up to two weeks after it is applied to soil.